Lidno is a display typeface the design of which is more eccentric than that of the relatively more restrained body text typefaces. 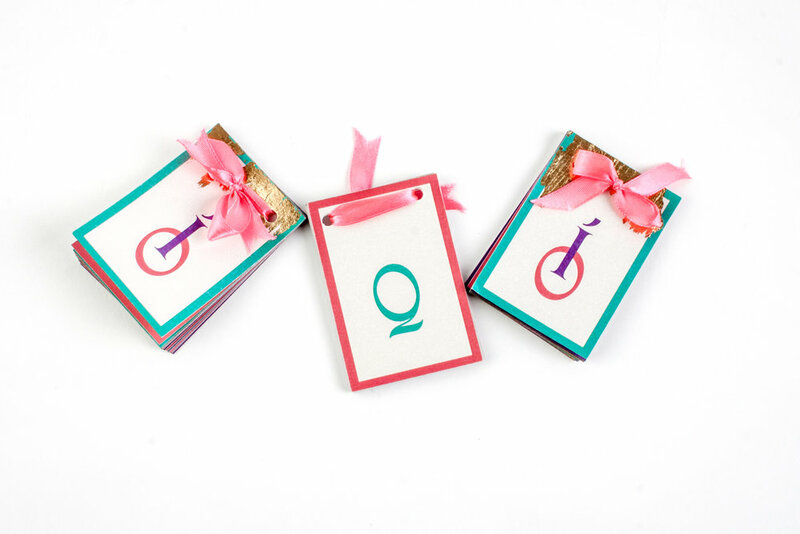 It’s just another cheeky typeface designed with love for extravagant shapes. 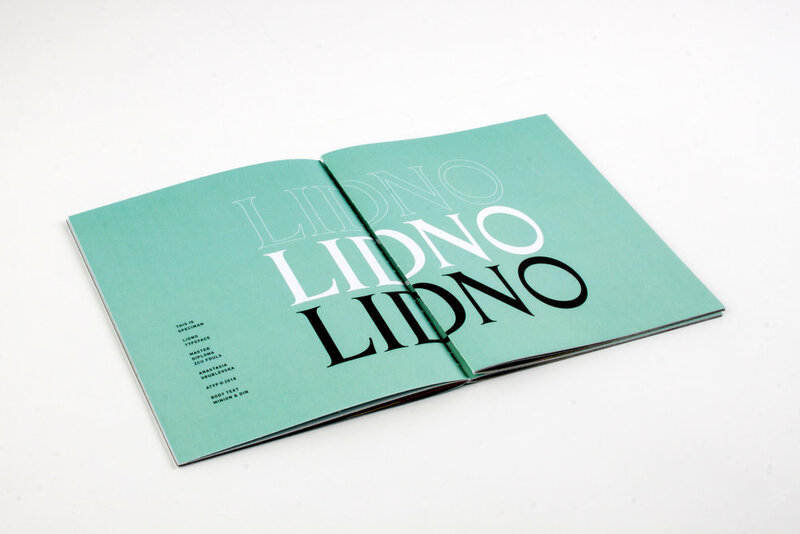 It is inspired and created as a tribute to a particular headline typeface of Lidové noviny newspaper, appearing from 1924 to 1945. The headline was not really a product of the style of that age, nor it was trendy at that time. 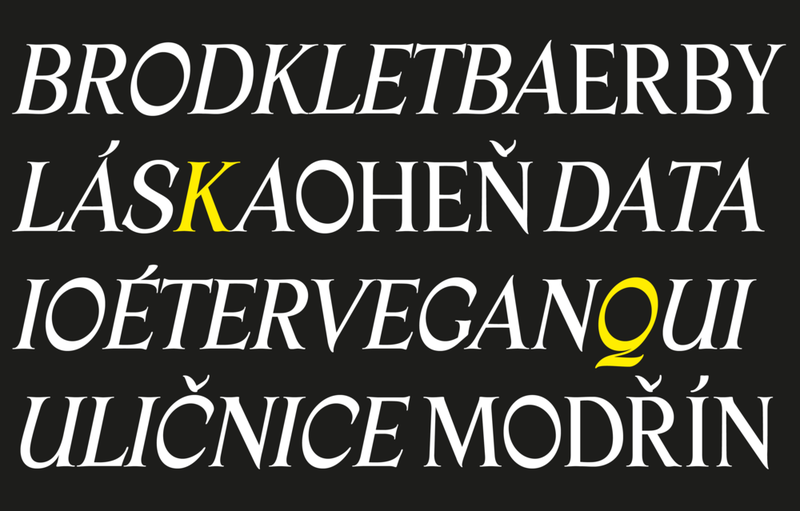 It was still drawn in classical serif manner, but it was chic and eye-catching in its own way, and it has a cultural and historical importance to the Czech Republic. Among editors–in–chief of the newspaper, during those years, were foremost Czech intellectuals such as Eduard Bass or Ferdinand Peroutka; their paper gained a great influence. Despite the strenuous search for the original typeface, it remains lost; its presumed author is the renowned Czech typeface designer Jaroslav Benda. I drew a very rough, decorative and higher in contrast types at first. With professional consultation, for which I am grateful to Filip Blazek, well-known czech typographer and brilliant graphic designer, I was considering and changing characters to more elegant, simpler (but still whimsical, to preserve the character of the typeface) and refined shapes, trying to have them balanced in consistent way through the whole typeface. Presentation of the typeface included 9 crazy posters, one little golden book with bad poetry and one serious specimen brochure. Little books with poetry taken from a website www.prani-prani-pranicka.cz (eng. trans. “wishes-wishes-wishes”), which is a popular stock of awful happy-birthday wishes. Posters printed with an sRGB profile on a digital printer with a larger scale of colours.